MALIBU, Calif. — Pepperdine dominated the second half and completely turned the tide in the game to deal the Northern Arizona women’s basketball team a 74-51 loss Saturday afternoon. 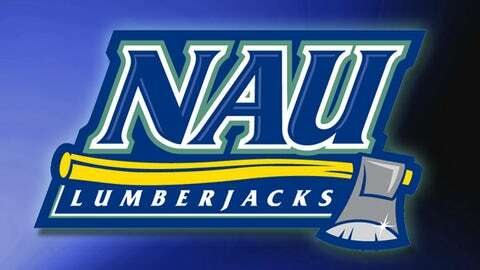 NAU dropped to 3-5 heading into its final nonconference game on Dec. 30 versus LIU Brooklyn. "It was the tale of two halves," said Lumberjacks coach Sue Darling. "We did a nice job of taking care of the ball and playing scouting-report defense in the first half, and then they hit a couple of shots in the second half and we started going away from what we did well in the first half. When the going gets tough, the tough gets going, and we didn’t fight tough in the second half." The first half was a strong one for NAU, as senior Amanda Frost hit a 3-pointer on the game’s first possession to put the Lumberjacks ahead from the get-go. Frost’s first of five three-pointers started a 9-2 opening run and NAU would lead by as much as eight and remain in front on the scoreboard for all of one possession. After Pepperdine took a momentary 22-21 lead with just over four minutes to play in the half, freshman Rene Coggins answered with a layup on NAU’s very next possession. That bucket started a 7-0 run that gave NAU the lead once again, and the Lumberjacks would take a slim 30-29 lead into halftime in large part due to Frost’s 13 first-half points. Frost began the second half just as hot from the field, as she drained two more 3-pointers before the first media timeout, at which point the Lumberjacks led 41-37. A 9-0 Pepperdine run over the next four minutes put the Waves ahead by five points, and by the end of the game, they had outscored the Lumberjacks 37-10 over the course of the final 16 minutes. The Lumberjacks shot just 27 percent in the second half while the Waves shot 49 percent in the decisive final 20 minutes. For the game, Pepperdine outshot NAU 43 percent to 35 percent and forced NAU into 24 turnovers. The Waves also held a slim 42-40 margin on the glass. Frost posted 25 points for her fourth 20-point performance of the season and knocked down five treys for the second consecutive game. Junior Raven Anderson added 11 points and seven rebounds. Freshman Brittani Lusain had eight rebounds and eight assists, and Coggins returned to the Lumberjacks’ lineup for the first time since Dec. 5 and posted four points and four assists.